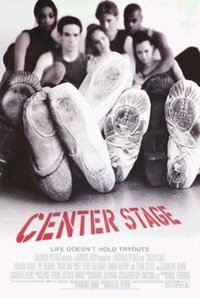 Center Stage is a 2000 American teen drama film directed by Nicholas Hytner about a group of young dancers from various backgrounds who enroll at the fictitious American Ballet Academy in New York City. The film explores the issues and difficulties in the world of professional dance, and how each individual copes with the stresses. This movie was Zoe Saldana's film debut. This webpage uses material from the Wikipedia article "Center_Stage_%282000_film%29" and is licensed under the GNU Free Documentation License. Reality TV World is not responsible for any errors or omissions the Wikipedia article may contain.